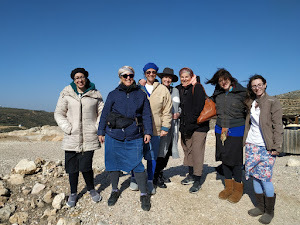 A couple of days ago, I had a blog post in my head based on Parshat Shavua, the Weekly Torah Portion. When I began writing it I discovered that the specific event I was comparing to Israel's legendary and totally effective bombing of the enemy airfields, isn't written in the Torah. 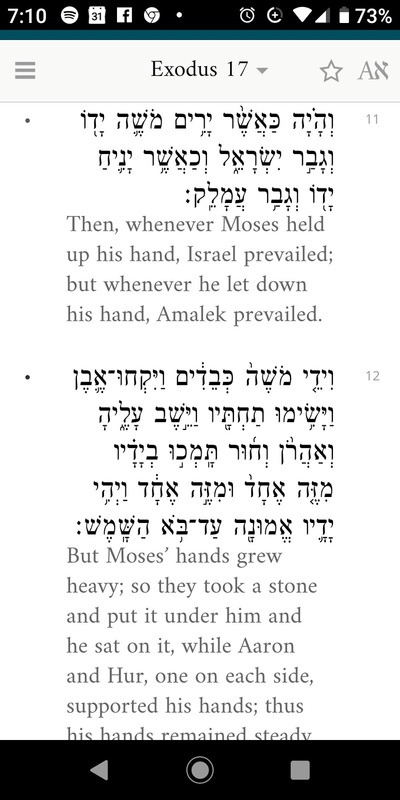 The story of Nachson's step in the Reed Sea is from a Midrash. I felt like a total idiot. I've always made a point of basing my understanding on what's written in the Tanach/Bible, not on commentary. 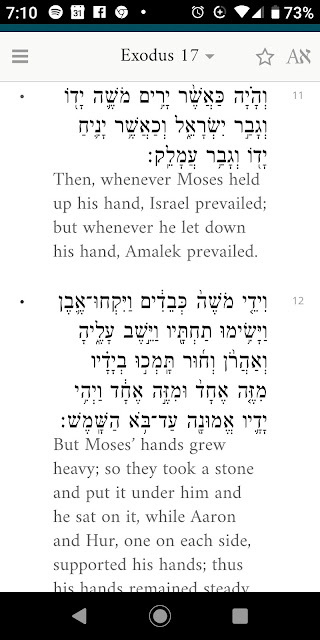 I'm devastated to discover that the story of Nachshon stepping into the sea, which caused it to split is just midrash. I was looking for the Bible verse and it doesn't exist. Many friends admitted to the same mistake. Scrap that blog post. Then I read the whole Torah Portion, Beshalach (Exodus 13:17-17:16), in shul. Among what's really written towards the end a couple of verses, which I've chosen as crucial lessons for us Sh'mot, Exodus 17:11-12. I have no doubt that nothing has changed for the Jewish People, from three thousand plus 3,000+ years ago, until today. When we, the Jewish People and State of Israel use our strength, united against our enemies we will prevail, but if we show weakness we will lose. Our security and survival isn't dependant on others, only on how we behave. The State of Israel does not need the approval and support of foreign leaders and countries. 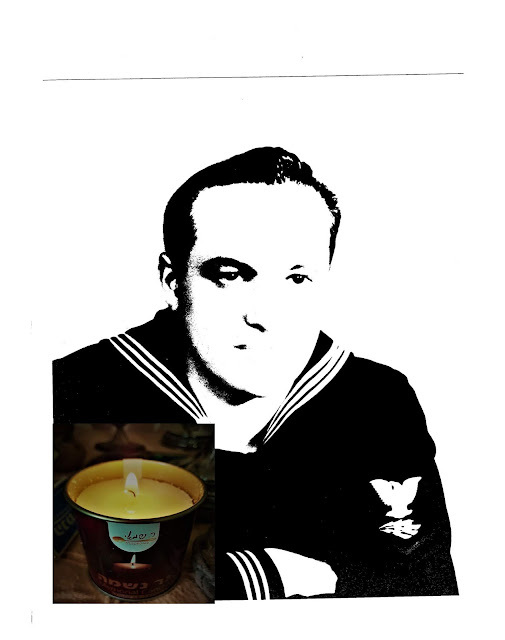 Our greatest victories occurred without any outside help. When we have depended on others for security advice, like the 1973 Yom Kippur War, we were almost defeated. When Saul and all Israel heard these words of the Philistine, they were dismayed and terror-stricken. David volunteered to fight the giant and then rejected the offer of Saul's weapons and protective gear. He became our king, and even the Messiah is descended from him, because he always recognized that it's Gd's power that controls our victories and defeats, not conventional armies and weapons. Your servant has killed both lion and bear; and that uncircumcised Philistine shall end up like one of them, for he has defied the ranks of the living God. The State of Israel will only be safe, secure and truly sovereign when our political leaders are willing to accept what King David instinctively knew. Gd is our "secret weapon," and as long as we stay loyal to Gd, we will be victorious and thrive.